Register now for Surry County Schools Educational Foundation 7th Annual MAD Dash 5K/Fun Run and you will be “Making a Difference” in the lives of all students in Surry County Schools. The 7th Annual MAD Dash 5K will be held on Saturday, April 27, 2019 at 8:00 am at Surry Central High School in Dobson, NC. A Fun Run will be held at 9:00 AM for children under 12. 5K and Fun Run participants registered by April 5th will receive a short-sleeved, performance event t-shirt. Email millsa@surry.k12.nc.us for a paper registration form. Form a team of your friends or coworkers and join us for the MAD Dash Corporate Team Challenge. Two separate prize categories will be awarded - Team Participation Award (most participants) and Fastest Team. A minimum of 5 team members are required to be eligible for the fastest team award; no maximum. (Fewer than 5 may participate in the challenge, but will not be considered for the awards). 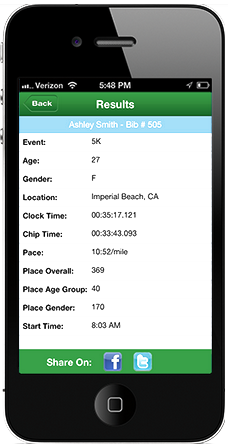 The team's score is calculated as the average finish time of the top 5 finishers on the team. The fastest team score wins. Team members are also eligible for individual awards. What is the Surry County Schools Educational Foundation? The Educational Foundation for Surry County Schools was created by a group of local business and community leaders who are passionate about education and the future of Surry County. Board members believe investing in children’s education will impact the future of Surry County’s economy. All students deserve additional learning opportunities inside and outside of the classroom. These learning experiences can change a student’s life. The commitment of time, talent, and resources, along with your support, will help fulfill the Educational Foundation’s mission. It will help increase the level of education in our county and help students pursue higher education. Together, we will “make a difference” in Surry County...one child at a time.